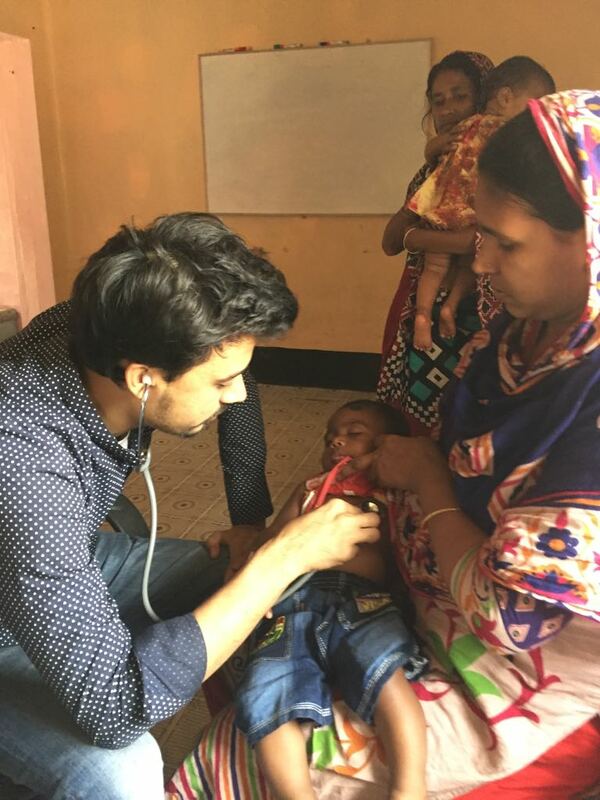 Millions of people suffer from avoidable health problems in developing countries, such as waterborne, infectious diseases & malnutrition simply because they are poor. 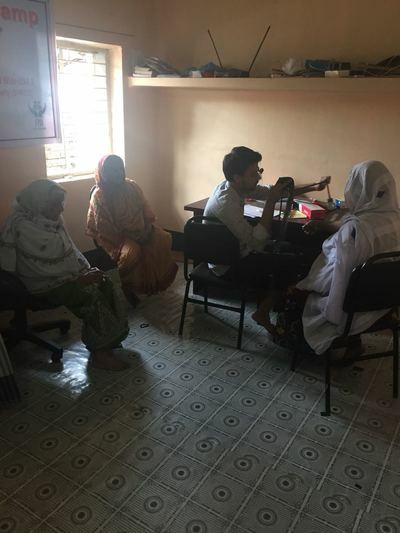 Health inequalities is pervasive in Adamjee Camp and Forgotten People Organization recognized the need to improve this issue so we gave them access to a health clinic that caters to all camp dwellers in Adamjee Camp. FPO's Virtual Medical Clinic is defined as a healthcare professional responsible for care with a patient for the purpose of clinical consultation, advice & treatment planning via teleconference video call. Dr Akhter sees patients via teleconference video call with the assistance of Mr Osman Siddiqy his Medical Assistant. We are in process of contracting with other USA Doctors willing to join our program to volunteer time to see patients at their convenience. Our FPO Medical Team has now started "Patient Home Visits" for the elderly & disabled patients unable to visit the clinic. 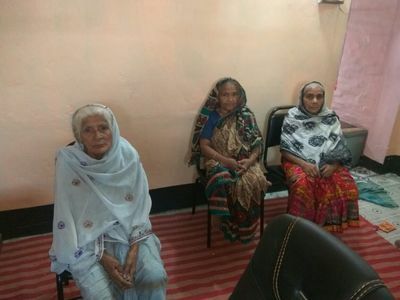 Adamjee Camp in Narayanganj, Bangladesh. 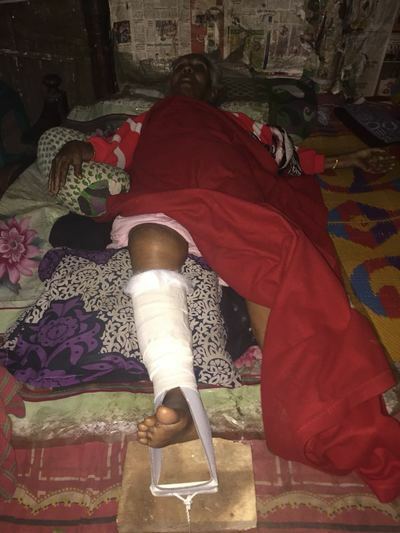 A story of a young man who was the breadwinner of the family succumbed to Gangrene at the tender age of 27 on January, 2018. The video below speaks for itself. 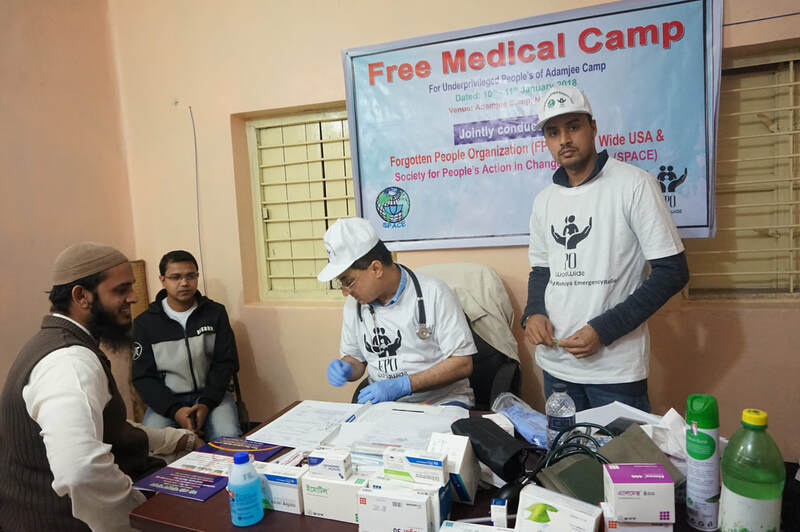 On January 10, 2018 Forgotten People Organization held their yearly Free Medical Camp in Adamjee Camp headed by Dr Syed Akhter & his assistant Mr Osman Siddiqy. 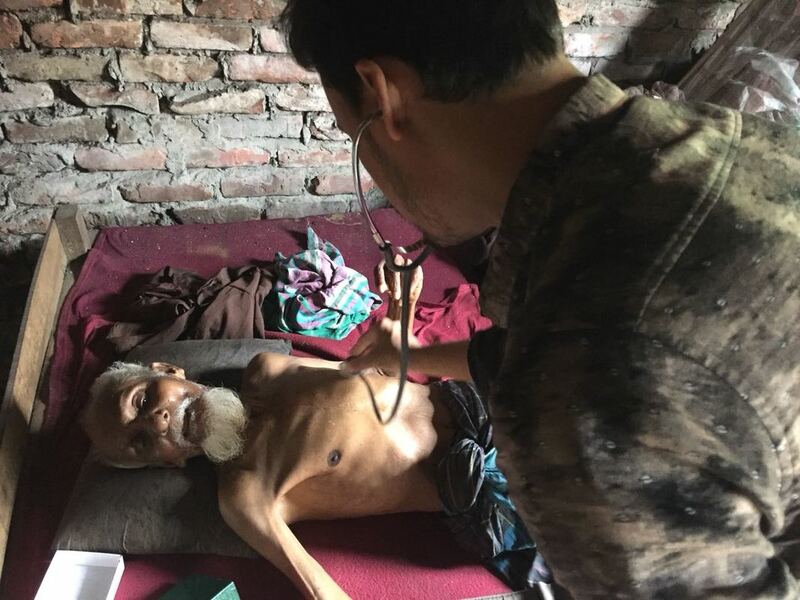 Dr. Akhter saw Nishars' condition on January 11, 2018. After seeing Nishars infected leg he immediately told the patient that he must go to the nearest hospital to have his leg amputated otherwise this infection would cause his life. 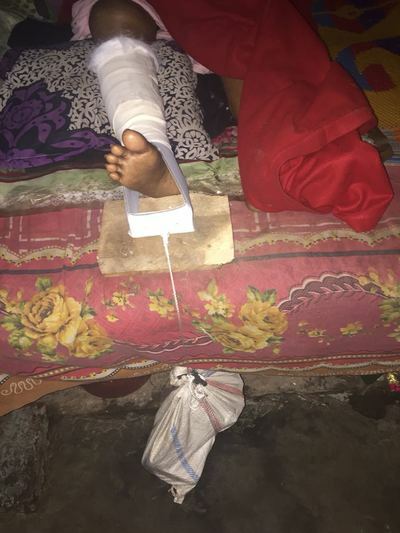 Dr Akhter did not have the proper surgical tools available otherwise he would have done the amputation himself. According to Nishars mother, she took Nishar to see the doctor about his leg & they gave him a medicine to temporarily ease the pain but not once did they mention the necessity of amputating the leg. 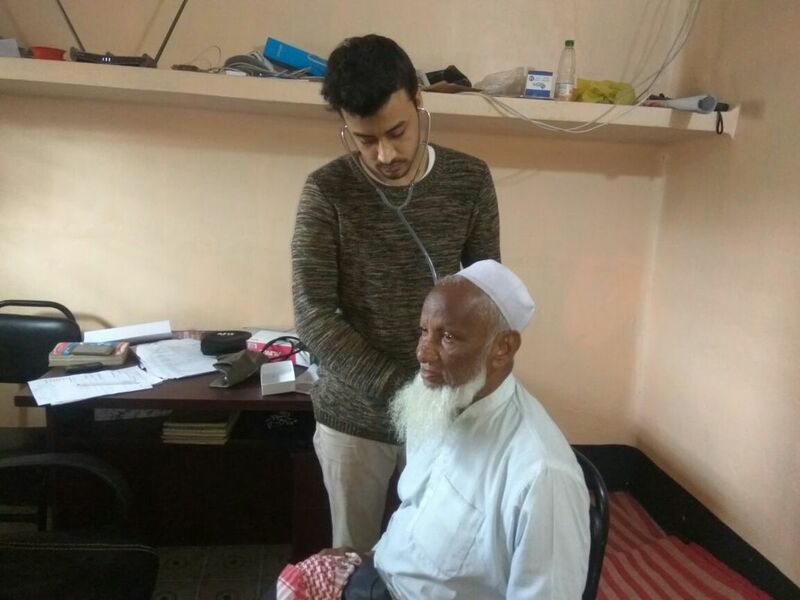 ​Upon our return to USA, Dr Akhter received a call from his medical assistant, Osman Siddiqy stating that Nishar Ahmed went to the hospital for the amputation procedure on January, 2018. 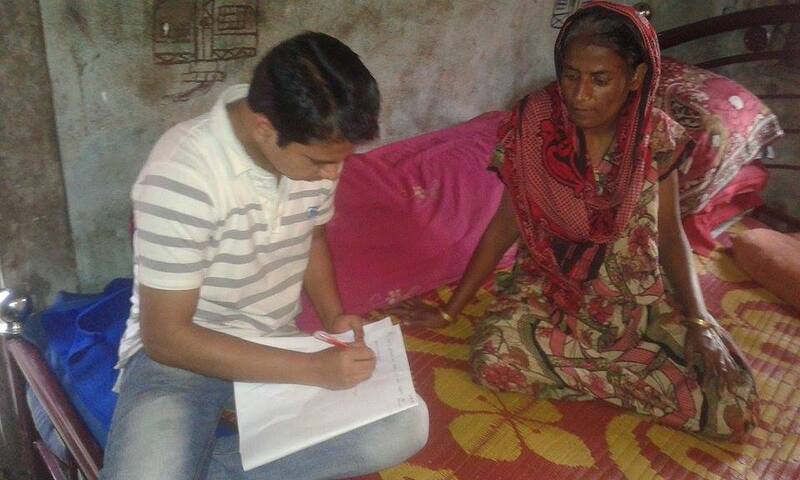 Nishar's mother was saddened & returned because the hospital was asking for 40,000 BDT for the operation. She said where will we get this money? Dr Syed Akhter instructed Mr Siddiqy to give the 40,000 BDT to Nishar to his operation & to make sure he goes the next morning. 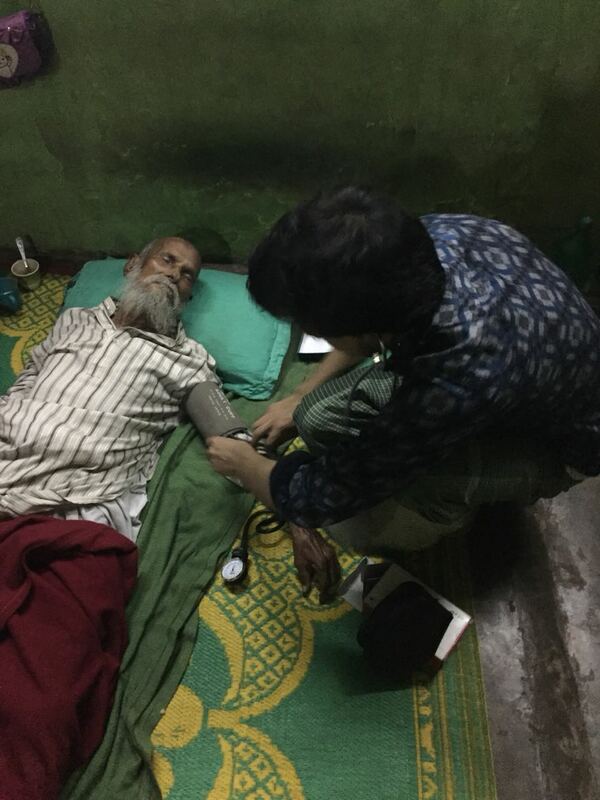 Our project manager, Syed Alauddin & Osman Siddiqy went to Nishars home to take him to the hospital but unfortunately died that morning. 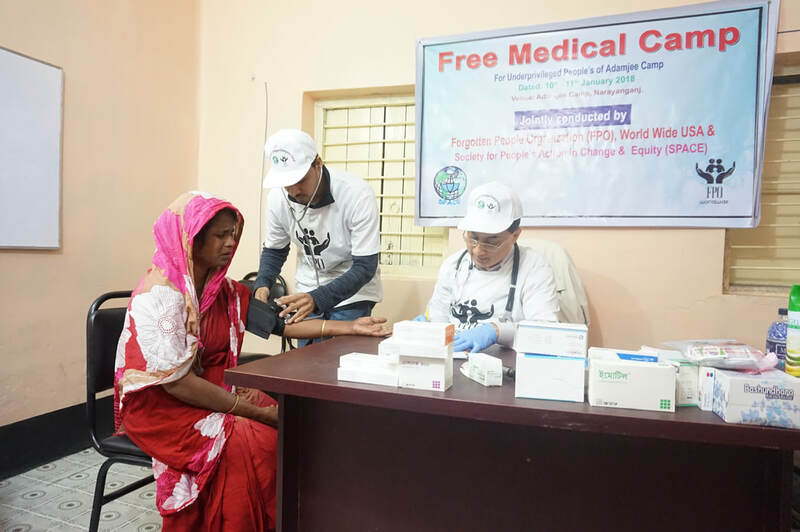 Forgotten People Organizations Medical Health Clinic in Adamjee Camp, Narayanganj District, Bangladesh was opened to the camp dwellers as of January 10, 2018. Headed by Dr Syed Rashid Akhter, USA, & his medical assistant Osman Siddiqui, Bangladesh. Our medical staff takes pride in their work to ensure the well being of their patients. They have added in their program "patient home visits" for some camp dwellers who are unable to come to the clinic. We strive to meet the United Nations Sustainable Development Goals health targets by 2030. ​SDG #3 "Ensuring healthy lives & promote well-being for all ages". 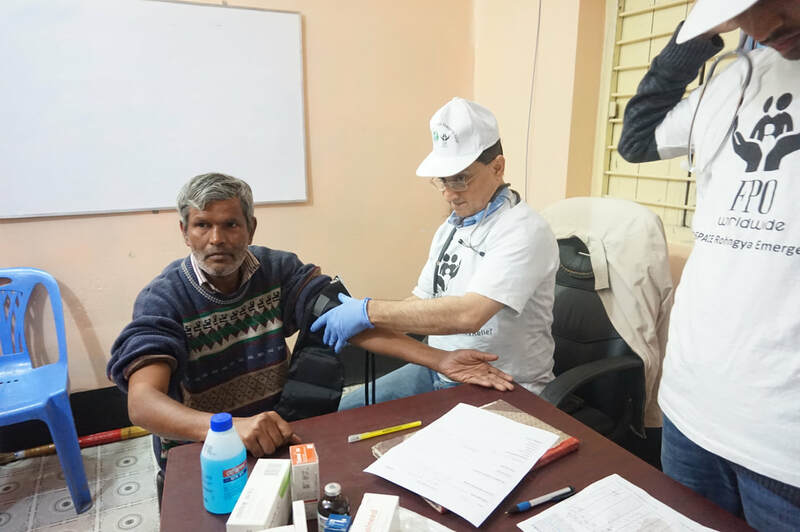 According to the United Nations Sustainable Development Program, data from 2005 to 2015 indicate that over 40 per cent of all countries have less than one physician per 1,000 people. 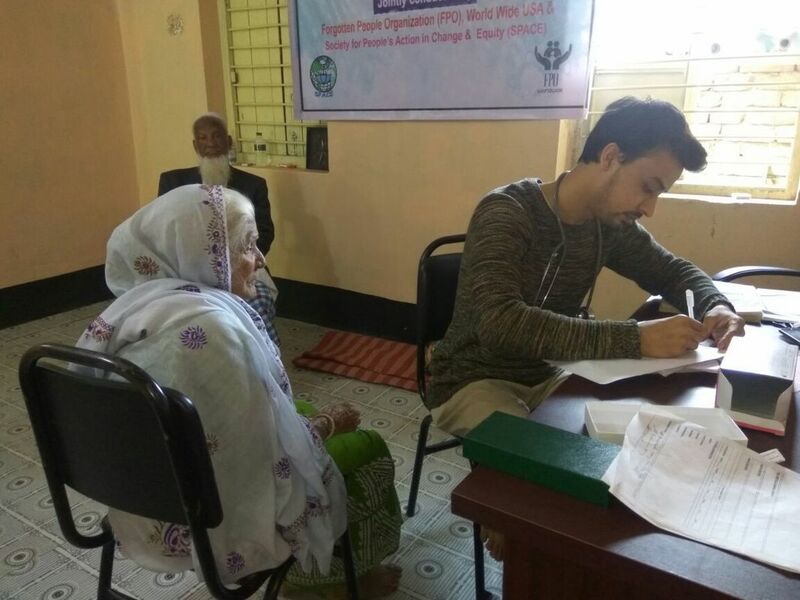 Your continued support will ensure the well being of the underprivileged people of Adamjee camp with a total population of 12,000 and growing. 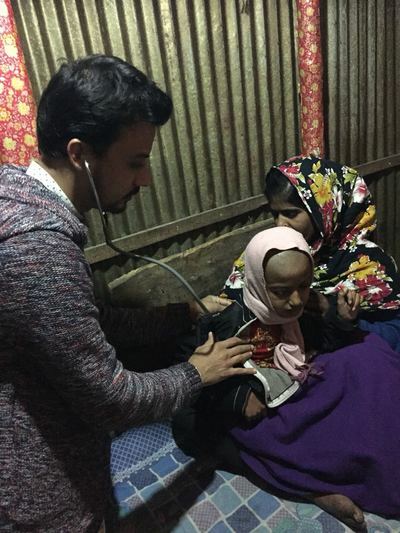 Our goal by the end of this year is to open a second clinic to cater to another part of Adamjee Camp, but we need your continued support to do this. 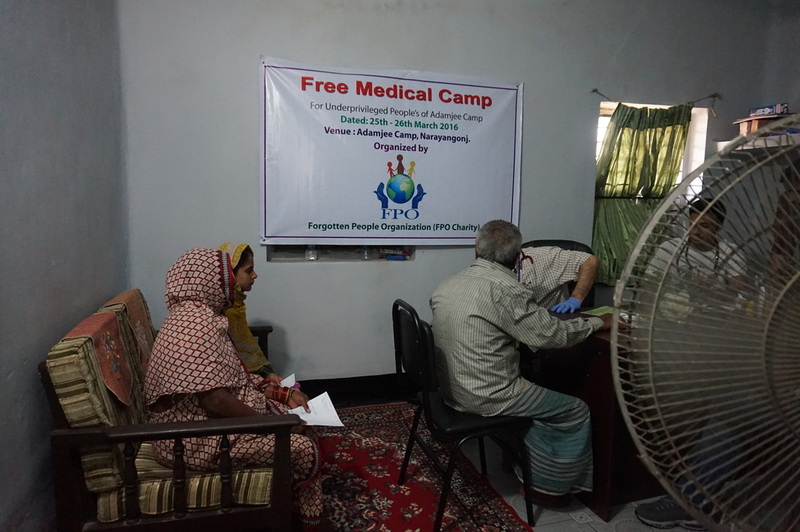 FPO’s journey of a thousand miles to Bangladesh on March 25, 2016 began with the dream to make our ‘Free Medical Camp” Project a successful one and the hope to cure the ailing of camp dwellers in Adam Jee Camp. Dr. Syed Akhter provided free medical camp to over 300 unprivileged camp dwellers at Adamjee Camp. 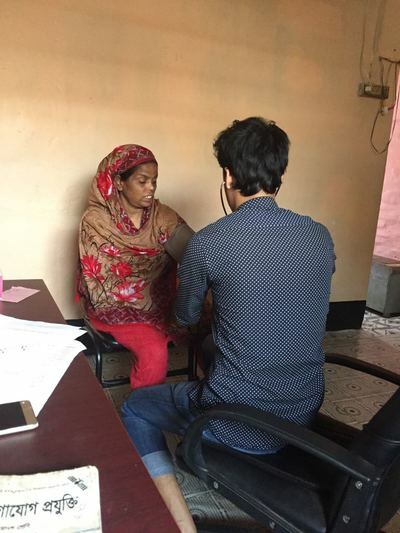 His medical assistant and staff Worked with labs & pharmaceutical companies in Dhaka, Bangladesh to obtain results & medication. Majority of the camp dwellers were experiencing gastric/ulcer symptoms due to lack of food. 2nd was stroke victims due to uncontrolled high blood pressure due to lack of medication. 3rd is the waterborne and vector born diseases due to lack of sanitation. 4th was the lacking of physical strength both for men/women due to lack of calcium & proper nutrition. 5th was terminal illness such as cancer. Just for Thought: Dr. Akhter saw a male middle age patient who was paralyzed on one side of his body with extremely high blood pressure. When asked if proper medication was taken to control blood pressure, the man cried and said “Dr. I don’t even have money to feed my family so where will I get money to buy the medicine”. This is reality for the camp dwellers. 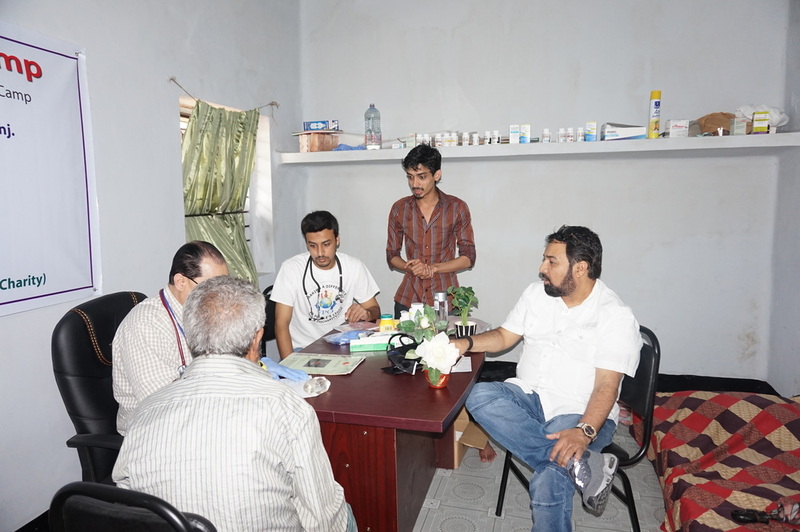 Dr. Akhter arranged a group meeting with phase 1 camp dwellers on last day of medical camp. 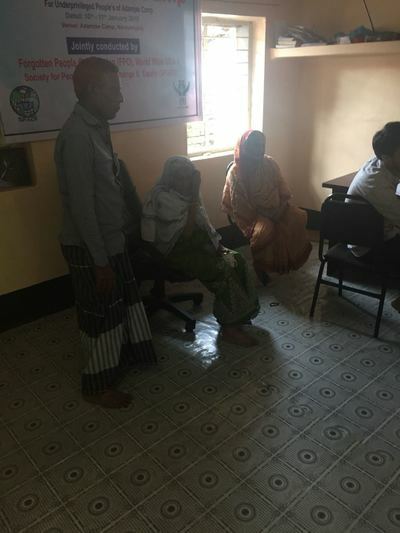 He delivered a speech to all patients regarding treatment administered for all illnesses, however treatment can only be sustained by practicing good hygiene and cleanliness. He clearly stated that a majority of the illnesses and diseases contracted were due to unhygienic/uncleanliness practice and surroundings. 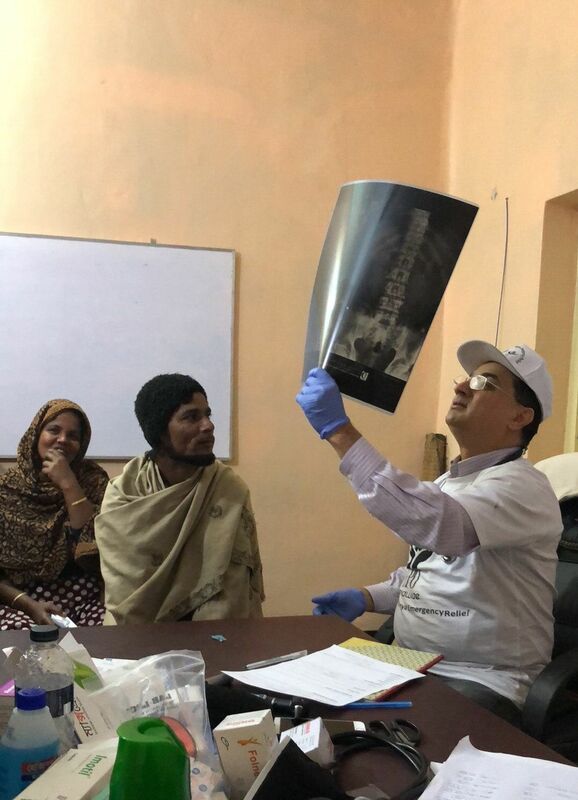 Forgotten People Organization plans (inshallah) to provided free medical camp on a semiannual basis with the help of Doctors and Physician Assistant willing to volunteer. If interested in volunteering please fill out the contact form below.